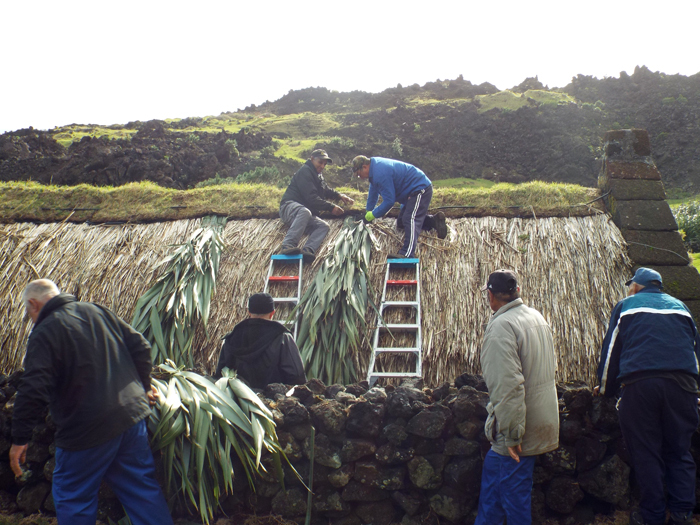 Monday 9th July 2018 brought a calm, dry day for a group of island pensioners to repair the Traditional Thatched House Museum, which had some leaks due to the strong winds lifting some sections of the thatch. They made a wonderful job, we just hope that the leaking has now come to an end. 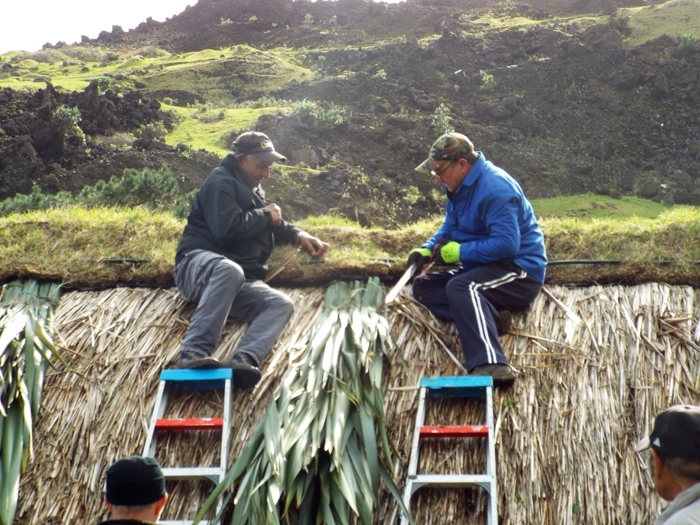 Gathering flax bundles for the thatchers.